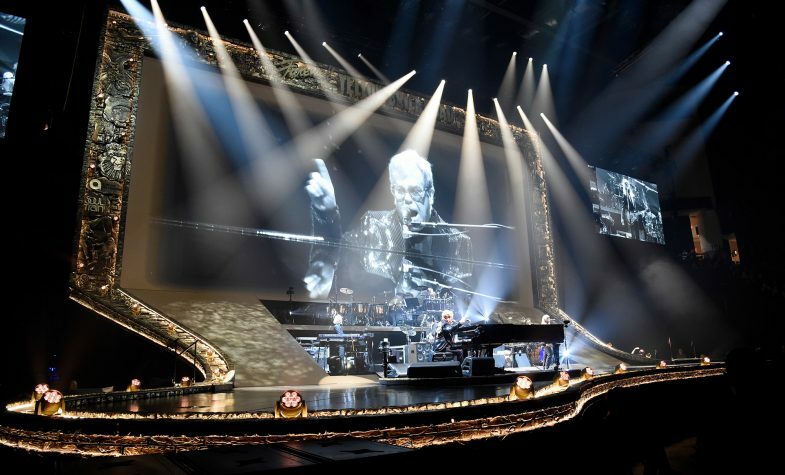 Gucci has designed the full stage wardrobe for Elton John’s final Farewell Yellow Brick Road Tour, which began on 8 September. 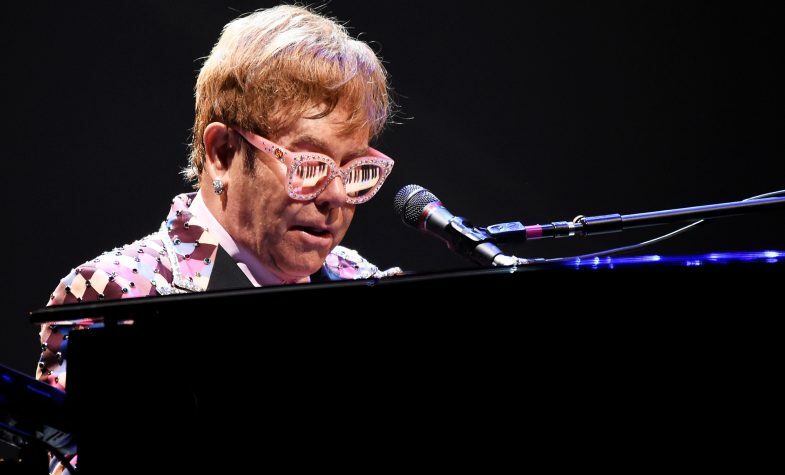 The megastar has long been a fan of the fashion house and the feeling is mutual as Gucci’s design director Alessandro Michele has cited Elton’s outlandish stagewear throughout the years as a strong influence on recent Gucci catwalk looks. 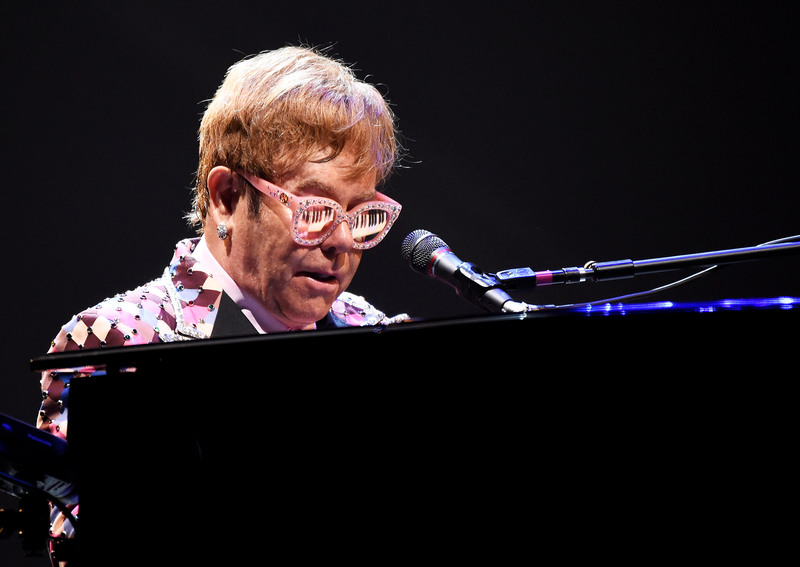 For the farewell tour wardrobe, Gucci’s aim was to make Elton John look like the ultimate version of himself, as one of the world’s best-known and most electrifying performers. 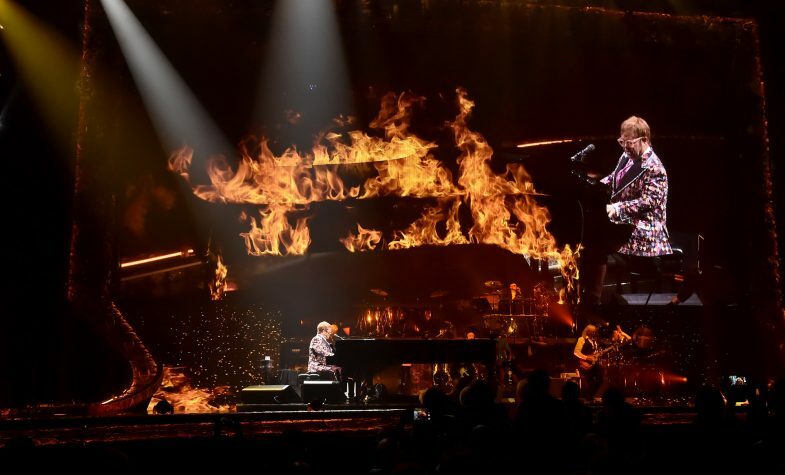 In characteristic fashion, each concert of the tour will feature several costume changes, with each reflecting a different side to Elton’s onstage persona. 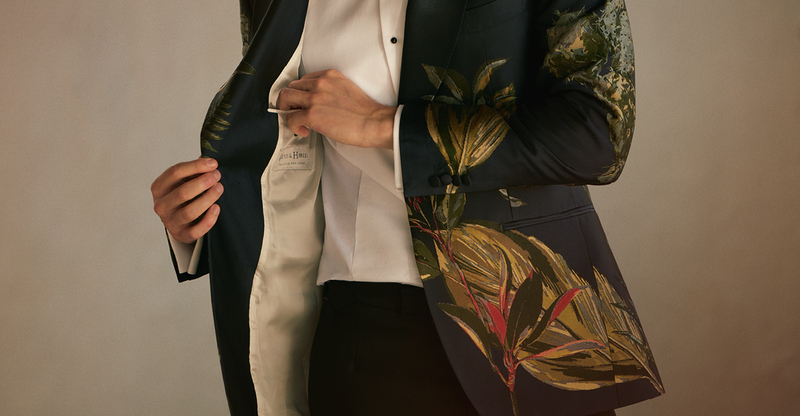 The first series of looks features outfits based on elegant tailcoats with striking Gucci embroidery, including the brand’s signature motifs of florals, stars, a snake and a tiger. 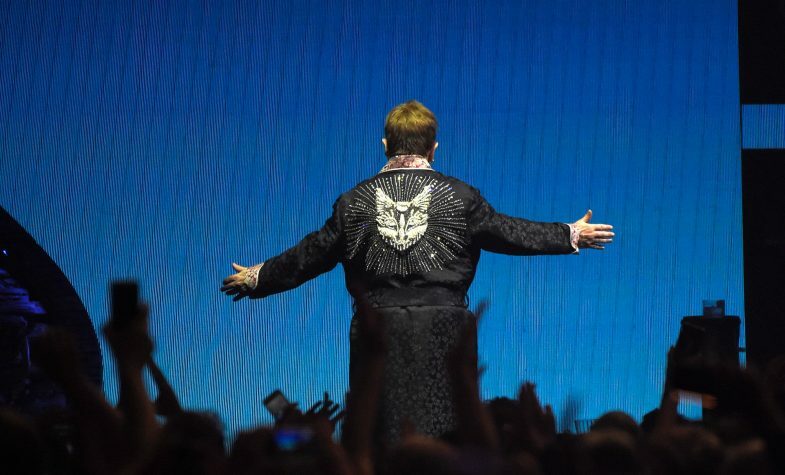 The next outfit embodies rock’n’roll eveningwear in the form of stylised evening jackets with large peak lapels, striking embroidery and, of course, crystal and sequin detailing. Elton then appears in one of his wardrobe favourites: the robe. 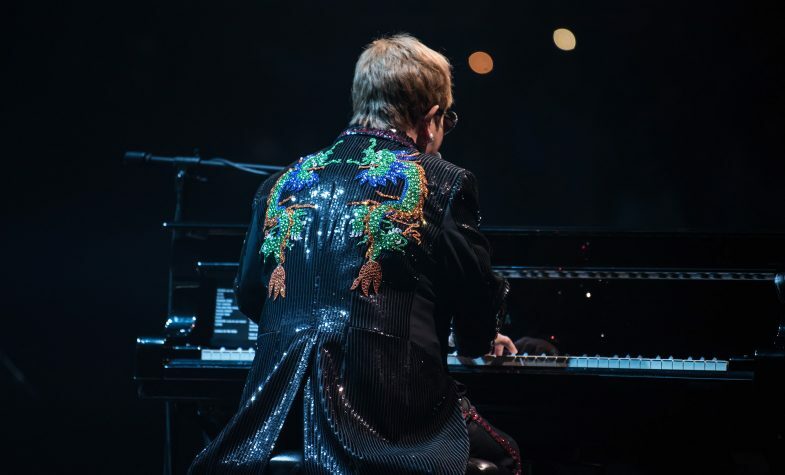 The highly decorated exotic robes Gucci has created for the tour are mostly silk, and feature intricate animal motifs. One has “Elton John” emblazoned across the shoulders at the back in white crystals. 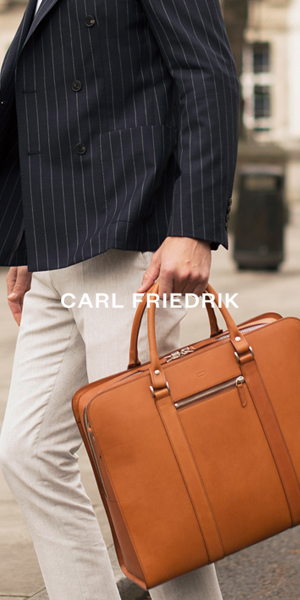 Finally, a luxurious tracksuit provides a sporty contrast to the theatrical flamboyance of the other looks. The black tracksuit has red and green panels and stripes – the colours of the classic Gucci Web stripe. With all these stunning outfits appearing on stage, the show is bound to be as visually spectacular as it is packed with classic hit songs.